I bought a used go find 60 I was just expecting the detector as it was reduced due to being a used m..
Fast service. Ordered coil Monday and recieved Tuesday. Would use cmd again should the need arise. T..
Genuine Minelab spares and replacement parts. 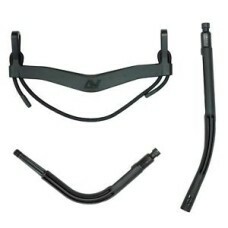 The kit contains a crossbar and two part J-strut for the Pro-Swing 45 metal detector harness.